Maruti Suzuki has launched the new 2019 Baleno, and prefers calling it the ‘Bold New Baleno‘. The new car gets a reworked fascia, which includes a 3D grille and restyled fog lamp garnish. The car also gets new 16″ alloy wheels and LED projectors with DRLs. On the inside, the new Baleno gets a black interior with blue highlights for a fresh new appeal. The upholstery gets a two-tone treatment and the interior is also better ornamented than before. 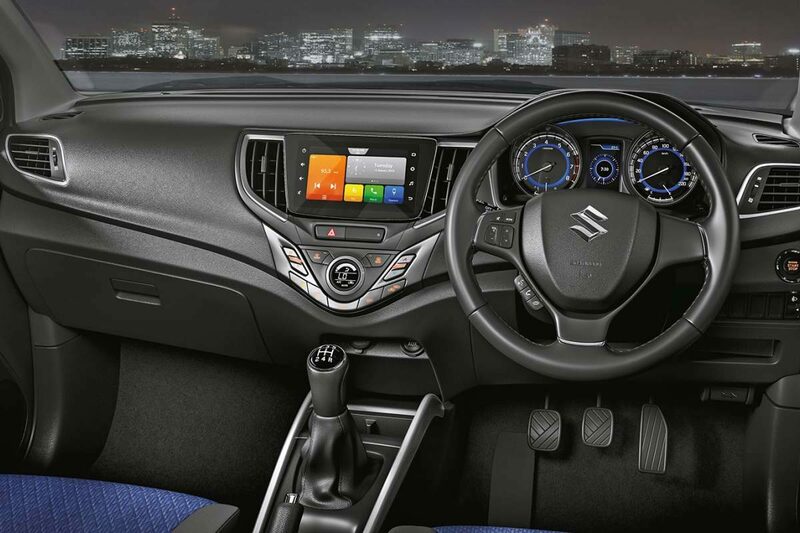 The biggest change to the interior, however, is the inclusion of a new 17.78cm capacitive touch screen infotainment display with voice commands, which Maruti Suzuki calls the SmartPlay Studio infotainment system. The system is Apple CarPlay and Android Auto compliant, and gets navigation with live traffic updates. The full list of the changes made to the new 2019 Baleno Facelift is provided below. Two New colours Phoenix Red and Magma Grey added in the range. The Baleno is amongst the top selling cars in India since 2016, and has been the fastest car to record the 5 lakh sales milestone. Under the ‘Made In India’ Initiative, Baleno is the first car to be manufactured in India & exported to many countries, including Japan. The engines and transmissions on the new car have not received any changes and it continues to be powered by a 1.2 litre petrol and a 1.3 litre diesel engine.